Today Eva has a press conf demanding the city give her pre-k money even if she won't sign a contract like every other school does. These new revelations won't help her case. This is open child abuse. Why did Eva release the records of that child and risk violating federal FERPA laws - a child who happens to now be a successful student at the Earth School with experienced teachers like MORE's presidential candidate Jia Lee, who teaches that child? To intimidate parents who were pushed out of Success from testifying. Another goody on Success Charter Scam from NY Times' Kate Taylor. I met Kate in Sept. 2014 at a Success charter school hearing in Brooklyn when she was new to the ed beat and hadn't yet gotten a hold of the Success Charter scam. How nice to see the Times investing in investigative reporting on Eva. Kate's article goes into the tactics used on 5-year olds. Beat them up over minor infractions until they get so frustrated they lash out and commit more and more infractions. Then tell the world these kids don't belong in their schools - but where else do they go but in public schools where there are great and experienced teachers like Jia who know how to deal with these kids in a humane way? More parents are following the lead and revealing the excess at Success. Will Eva continue to violate FERPA lawa by releasing these kids' records? Former Success staff are also beginning to talk - anonymously because they know they will be hounded and attacked for talking. Principals at Success, many in their 20s and 30s, frequently consult with a team of lawyers before suspending a student or requiring a parent to pick up a child early every day. It was a member of that team who described a student’s withdrawal from the Success Academy in Union Square to colleagues as a “big win,” the current employee said. I love that Kate mentioned the ages of the principals. I wonder if staff don't have to sign some non-disclosure agreements when they sign a contract? Does anyone have examples of these contracts to publish? For James Merriman, who heads the charter network and full well knows the evils of Eva, to try to defend them is indefensible. James D. Merriman, the chief executive officer of the New York City Charter School Center, a group that advocates and supports charter schools, said it was unrealistic to expect any given school to be a good fit for every child. And Mr. Merriman noted that the city had many traditional public schools that required a test or other screening for admission, schools that by definition did not serve all students. That's an infinitesimal number of public schools and they are open and above board on their policies. Merriman used to sell charters as taking every kid through the lottery. Now they are explaining away their trying to beat the lottery. The news keeps piling on, today the New York Times published an article confirming and detailing some disgusting suspension habits carried out by Success Academy Charter School Network. This sort of unfair treatment shows that Success Academy is not the "public school" they claim to be and that Eva Moskowitz will use ultimate autonomy to hand pick students. Let Eva and her schools know this is unacceptable. Attached are some meme's and below are sample tweets. The city is SO using this eval to harass teachers. They don't even have to be verbally abusive any more. The eval is harassing enough and keeping everyone on edge. It will push out all tier 4 people before their time. That goes for workshop model too. You can't implement a work shop model in classes of 32 kids and keep endless records on all of them. That's why they'll never reduce class size. All meant to push out teachers. KIPP spends a great deal of money promoting its brand of total compliance, segregated charter schools as the “tough love, no excuses” solution for schooling in urban communities disabled by poverty and lack of hope. KIPP and its billionaire supporters contend that we cannot wait for an end to poverty to properly educate the children of the poor. No one I know would disagree with this premise, but everyone I know disagrees with KIPP's conception of what "properly educate" means. KIPP requires the poorest urban children, those who have received the least in life, to earn everything at KIPP, from paychecks for good behavior and working hard to the very shirts they wear. At some KIPPs, children must even earn their right to sit at a desk (rather than on the floor) for 8 to 10 hours a day. There were some people on Facebook skeptical of this report. Watch these videos of Achievement First parents talk about their children sitting on the floor. May not be KIPP but might as well be: https://vimeo.com/30227766, https://vimeo.com/30238788, https://vimeo.com/30266020. due to Leonie Haimson organizing the interview and doing the questioning. I just turned on my camera. I thought we would be there for a few minutes instead of over 2 hours. We were able to use just a bit of the footage in the movie but for me it turned into one of the most powerful statements we made. People in Providence used the footage to help fight Achievement First. MORE's Erik Foreman in The Gothamist: NYC Teacher Talks: "The Weight Of Standardized Testing Is Absolutely Crushing"
I knew Erik was a barista organizing in Starbucks and later found out he has traveled around the world doing that kind of work, even in China. While some would classify Erik as an activist, to me it is more important that he is an organizer - someone who thinks about what it takes to build an effective organization and then goes out and does it. MORE is lucky to have him. Here are some excerpts from the Gothamist piece. NYC Teacher Talks: "The Weight Of Standardized Testing Is Absolutely Crushing"
Jennifer Preissel is a New York City high school teacher. Last month, 240,000 students and their teachers returned to the corridors of New York City’s 500 public high schools. Gothamist sat down with teachers at different stages of their careers—some entering service, some with a few years under their belt, and a couple of vets. We talked about why they chose to teach, how they feel about the government's education policy and their thoughts on the charter system and the United Federation of Teachers. We wanted to know: are the teachers all right? We'll run a different teacher profile each day this week (read them all here). 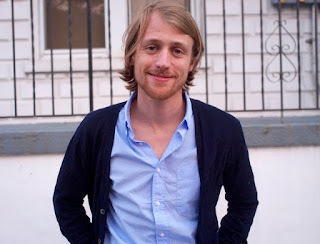 Today we feature Erik, who is in his second year of teaching English as a second language and social studies in the Bronx. Erik is also the United Federation of Teachers' chapter leader for his school. When I was in college, I worked at Starbucks at the Mall of America. I saw that there were lots of problems—poverty wages, inconsistent scheduling, arbitrary firings, sexual harassment from the boss. So my coworkers and I started a union and we were able to change a lot of things. We got much more stable scheduling. We were connected to Starbucks workers doing some of these things across the US. We saw that when workers stand together you can have a voice and you can change things. So I got very involved in union organizing in the fast food industry for about seven years. I also began working as a substitute teacher. I had this experience of essentially working with the people in the fast food industry whose kids I would then encounter in the classroom. And I saw that there was this very direct connection between poverty and academic success. I thought you could attack poverty both by union organizing, which is probably the most powerful tool we have, but that education also has to play a role, to give people the confidence to believe that we can live in a better world, to open their minds to different possibilities for themselves and for the whole society. Eventually I decided to go into teaching, which took me into the New York City Teaching Fellows here in the Bronx. I had not planned on getting active in the union when I started as a teacher, but I rapidly saw that so many of the problems we have in the school system are actually workplace problems—they are problems of capitalism. ------I think we have to transform the UFT. The UFT is, I think, like most unions in the United States, it's based on a model of service unionism, where people pay their $54 a paycheck and in exchange they get services. They get advice, help with dental insurance, a catalogue with discounts on a security system for your home, maybe some professional development courses. But that's not where the power of the union lies. The power of the union lies in members talking to each other, figuring out what problems they have, what problems they share with the community and taking action. If we did that, the UFT would be an unstoppable force. The weight of standardized testing is absolutely crushing. It makes it difficult for teachers to foster critical thinking when students could be tested on more facts and figures than they could ever conceivably learn in a school year. All teachers do a dance of trying to make sure kids do well on these tests. Charter schools can kick kids out, so they take the kids who are easier to work with, need less support to succeed and they kick out the kids who have behavioral problems, learning disabilities, who are struggling to acquire English. Over time, this creates this gradient where the students who need less support do better because maybe because they have more stable family lives or they come from a higher socioeconomic class, they end up in the charter schools and the public schools get the kids who need the most help. But they are getting fewer resources than the charters to do this. The charter system is creating a two-tiered education system and that's been morally wrong always, and legally wrong since Brown vs. Board of Education. Wonderful Jia! So glad you will shake up the UFT. Let's figure out how public school parents can work on your campaign to help get all teachers to vote for Jia in 2016! I feel a change coming!.. Janine Sopp, opt-out parent activist. The parents at Change the Stakes, where Jia is a steering committee member, were overjoyed at the announcement of her presidency. Janine's point about parents, especially from the opt-out movement, working on the campaign is intriguing - and offers the campaign entry points into schools it otherwise would not have access to. While Unity sends its employees into schools to stuff mailboxes I imagine an army of parents talking to their children's teachers about Jia. Jia is a nationally known leader of the opt-out movement but people are finding out she is much more than that. Her amazing leadership skills have impressed so many. Read DOENuts on his personal experience with Jia's leadership. I'll tell my own stories in another post. 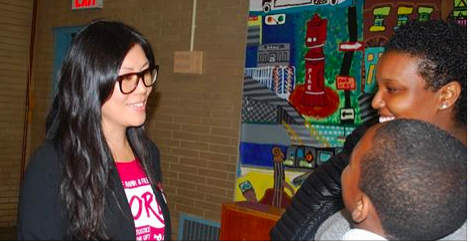 An interesting point: Jia is the first of Asian descent to run for UFT president. Having just returned from Japan where we observed a certain pattern of behavior, I am trying to process the extent to which Jia's calmness and ways of dealing with people with a Zen-like aura come from that background. I cannot think of one person who does not love Jia. As I said I will share some personal stories - including ones where I went ballistic and she calmed me down. I am a much better person for it. You know one of the great sports metaphors about athletes is whether the make the other players on the team better. If you measure Jia's effectiveness in those terms she is a superstar. IN MOST places, these same education justice activists have been confronting the sweeping privatization of public education--that is, school closings, the proliferation of charter schools, union busting and the spread of high-stakes standardized testing--which has been the bipartisan policy on education at the national level for more than two decades. Yet the advocates of privatization have repeatedly cloaked their agenda in the robes of the historic civil rights movement. We are posting articles on the TFA involvement in Black Lives Matter. Here, MORE colleague Brian Jones lays it all out as well as can be done. A debate has developed among leading voices of the Black Lives Matter movement about the connection, or lack of one, between the antiracist struggle to the battle against the education reform movement, including Teach for America (TFA), an organization that recruits college graduates without any teaching experience and places them in schools in low-income communities, often in cooperation with charter school operators. Here, New York City educator, activist and writer Brian Jones sets out the context of this discussion and examines the arguments of those who believe Teach for America can help make Black Lives Matter. THE DIVERSE and determined movement against police violence and murder--now known to so many as Black Lives Matter--is facing a series of political challenges, as grassroots movements inevitably do. Choosing demands, deciding on strategy and tactics, selecting leaders and holding them accountable--all of these are difficult matters, and the road to success has potholes to avoid at every turn. The phrase "Black Lives Matter" is open to a wide number of interpretations. Making Black lives matter in anonymous encounters with police officers is one, obviously. But many in the movement make connections to the fight for the $15-an-hour minimum wage or the struggle against violence directed at Black women and LGBTQ Black people. Connecting these proverbial dots will only make the movement stronger. Another obviously connected issue is K-12 schooling. Sixty years after the Brown v. Board of Education Supreme Court decision, American schools are more racially segregated than ever, with Black children overwhelmingly concentrated in underfunded schools. They are disproportionately subject to significantly harsher disciplinary procedures than their peers, starting from pre-K--to such an extent that there is even a phrase for it: the "school-to-prison pipeline." Across the country, parents, teachers and students have challenged the policies that uphold these patterns, consciously seeking to connect the Black Lives Matter movement to the effort to end institutional racism in public schooling. The students in Seattle who walked out of school to protest the decision not to indict Darren Wilson for the murder of Mike Brown are just one example. And here is where it gets challenging. IN MOST places, these same education justice activists have been confronting the sweeping privatization of public education--that is, school closings, the proliferation of charter schools, union busting and the spread of high-stakes standardized testing--which has been the bipartisan policy on education at the national level for more than two decades. Yet the advocates of privatization have repeatedly cloaked their agenda in the robes of the historic civil rights movement. From the Wall Street banker who called charter schools "the civil rights movement of my generation" to the former U.S. Secretary of Education referring to the anti-union, anti-public school film Waiting for "Superman" as a "Rosa Parks moment" for education, to the judge comparing the recent anti-teacher tenure lawsuit in California to the Brown decision, over and over, corporate reformers claim to be fighting for justice for Black children. There is no single, authentic "Black" standpoint on this issue. Black people are genuinely on both sides. Former charter school CEO Geoffrey Canada favors privatization and claimed that his goal was to "destroy" public education. Karen Lewis, president of the Chicago Teachers Union (CTU), says that fighting for Black children requires saving public education. Nevertheless, it's not difficult to pull apart the claims of the privatizers. For starters, charter schools are more segregated than public schools. Furthermore, the most celebrated charter schools are infamous for pushing out the students who are struggling, who are more expensive to educate, or who might lower the school's test scores--especially students with special needs, English Language Learners, etc. Focusing instruction on raising standardized test scores does not a good education make, and the pressure to raise scores is felt most acutely in schools where Black students are concentrated--which has led those schools to cut art, science and even social studies in order to focus more time on tested subjects: reading and math. Following in the wake of this pressure are Zero Tolerance discipline policies and the austere, militarized environment that pushes kids into the school-to-prison pipeline. Also, trade unions have been essential levers of access to middle-class incomes for Black people--especially union employment in the public sector. Black people continue to be more likely to be union members than any other racial group, and approximately one in five Black adults work in the public sector. Black teachers are a small minority of teachers nationwide, but they are concentrated in larger numbers in schools that overwhelmingly serve Black students, and so their jobs have been disproportionately affected by privatization. A recent report on nine cities targeted for school privatization found that all have declining numbers of Black teachers. New Orleans may be the place where, in the aftermath of Hurricane Katrina, the privatizers have completed their work to the fullest extent. Most schools in New Orleans are now charters, the teachers' union is gone, and standardized test scores are the "coin" of competition in school rankings. No school has any obligation to any particular child. The parents get to "choose" any school, but that really means they can apply to any school--there's no guarantee their child will be admitted. But rather than emerging as a model of Black liberation, the schools in New Orleans are more segregated than ever, and Black students are concentrated in the lowest-performing and most underfunded schools in the city. Meanwhile, more than 7,000 Black teachers in New Orleans have lost their jobs--while Teach For America has provided a steadily rotating crop of new teachers from outside Louisiana to take their places. The number of Black teachers has dropped by almost half, while the number of white teachers has nearly doubled. A NEW teacher unionism movement spreading nationwide is attempting to fight against the privatization of K-12 public schooling and fight the specific effects of institutional racism on Black people in schools. The most dramatic and inspiring examples of what it could accomplish were the 2012 Chicago Teachers Union strike and the Seattle teachers strike of this year. In Chicago, the CTU said public education in the city was an "apartheid" system and exposed the dramatic inequalities of the Chicago Public Schools, while putting forward its own vision of the schools Chicago's children deserve. In Seattle, the teachers demanded and won the formation of race and equity teams to work inside schools to end the disproportionate pattern of suspensions and other harsh punishments for Black students. Both strikes showed the power of connecting the movement to defend public education by challenging the privatization agenda with the struggle against institutional racism. But not all Black Lives Matter activists are for making that connection. Two people who have risen to national prominence in the fight against racist police violence and murder, DeRay Mckesson and Brittany Packnett, are proud alumni of TFA, the nonprofit that places inexperienced teachers in classrooms nationwide after only six weeks of preparation and that has enthusiastically supported the spread of nonunion charter schools. Packnett is executive director of TFA in St. Louis. In a response to critics who she claimed made "salacious" arguments and portrayed her as an "evil Trojan horse" and "sell-out opportunist," Packnett wrote that TFA responded effectively after the murder of Mike Brown in Ferguson and the militant demonstrations that followed, using its substantial resources to help families in need and even sending people to the protests. Packnett supports TFA's work in schools, she writes, because TFA is doing "hyper-local" teacher training that is "culturally responsive" and is placing "more diverse" teachers in schools than ever before. But in six weeks, how "culturally responsive" can a teacher learn to be? The problem remains that, nationwide, Black children are disproportionately taught by inexperienced teachers--a problem that TFA exacerbates. [t]hat will require that we stop yelling at one another and put children back at the center. It will require that we elevate our conversations beyond our personal ideological frameworks and the salacious viral posts that entrench them, and earnestly seek out what works best for kids--regardless of where it comes from. Sure, we don't necessarily need to yell. But we do need to be able to discuss important disagreements. And good intentions are not enough to make the changes we need. Another marker of one particular view among Black Lives Matter activists is Packnett's participation in President Barack Obama's task force on policing. But Obama's rhetorical support for ending police murder hasn't been matched by action when it comes to federal prosecution of murderous police officers. I was a TFA corps member, yes. And I taught in a public school. And was a senior leader in two public school districts. I've always supported school districts, and I don't think charter schools are the solution or that they'll scale, but I think that, to a degree and in some places, they serve a purpose. But again, there's nuance there. It's just so interesting that the conversation is never framed about what's best for kids, and that the assumption is that I hate unions or teachers or color and want to ruin public education. For the record, this commentary is not claiming any salacious or evil conspiracy at work. I don't assume that Mckesson or Packnett hate unions or teachers of color or that they want to ruin public education. I assume they mean what they say and say what they mean. I assume they believe in what they are doing and in the alliances they are forging. I do think, however, that they are joining forces with organizations and institutions that are hostile to a broad movement for justice. This represents a substantial political disagreement on how to win justice--in the streets and in schools--for millions of Black and Brown children in this country. On one side, we have people, like Mckesson and Packnett, who see wealthy and powerful corporations and political elites as allies in the fight against police terror. On the other hand, you have people, including many teachers' union activists, who view the corporate and political elite as fundamentally part of the problem. Packnett says she will never again respond to critics. That's unfortunate, because this debate is important to the future strategy of the movement in which she is playing a leading role. In a recent speech in Philadelphia, Mckesson alluded to "my own critique of TFA," Given his role in this movement, it would be useful to know what that critique consists of. Can a movement against state violence work with the executives of the state and against them at the same time? Can the privatization of public education serve the interests of Black children? Is the growth of TFA a net benefit for Black children or a problem? These are not salacious questions or conspiracy-mongering, but genuine issues that the movement will need to understand and take up, in words and deeds. THE PRIVATIZATION of public education is not, in my view, compatible with making Black Lives Matter in the streets or anywhere else. Yes, nuance requires us to acknowledge that some people experience the move from a public school to a charter school as an improvement in education. But at least an equal number experience the opposite move as an improvement. While Packnett and Mckesson may not go this far, the federal and elite policy has been to promote charter schools and other elements of the privatization agenda as the solution. They do so in a manner that is totally disproportionate to the merits of privatization for ordinary people, because that elite benefits from it, politically, economically and socially. Besides weakening the labor movement and socializing all of us to accept our lot in life, the school privatization movement has the added benefit to the elites of opening up new revenue streams for investors. For real estate investors, the Wall Street Journal reports, the latest gold rush is charter school construction. One fund promises investors a 10 percent return on their money. Ultimately, TFA is part of this privatization "movement"--led by millionaires and billionaires like Bill Gates, Eli Broad, Stanley Druckenmiller and more--that is using genuine grievances and frustrations of oppressed communities to break up one of the last remaining strongholds of the public sector: K-12 schools. The elites who support this agenda make a lot of noise about "racial justice" and always claim to have the best interests of children at heart, rather than the interests of various adults, especially teachers, who are implied to be selfish, by contrast. But children eventually grow up, which is one simple reason why the interests of children and adults are inseparably linked. What kind of institution is so worried about children but treats adults like dirt? Walmart, the largest private donor to TFA, is also the largest employer of Black people in the U.S. Many of its full-time employees rely on public assistance to survive, yet somehow we are to believe that this corporate giant is "earnestly" and disinterestedly seeking out "what works best for kids." In his view, what's best for students isn't necessarily improving their socioeconomic status, though important, but rather "having a teacher who believes they can learn." What we need are "great teachers in every classroom, every day, and a system of schools that are high quality at scale," said Mr. Mckesson, who was appalled to learn that the school district of Philadelphia, a month or so before grades go in, still has a vacancy count of almost 200 teaching positions. It seems that Mckesson feels the issue of economic equality can be put to one side while we deal with issues of teacher quality and police violence. Here, he is, consciously or not, echoing the narrative of the privatization movement, which claims to bring justice to Black children without actually redistributing any wealth or resources, and without giving up any power or privilege. We would do well to remember the actual civil rights movement--the one where Dr. King died in Memphis trying to help Black sanitation workers form a public-sector union. Dr. King was right when he said that genuine justice was indivisible. There won't be justice in the schools without justice at work and justice in the streets. We cannot take from one group in order to get "justice" for another. We cannot get justice for children by beating up on adults, just as we cannot have racial justice without economic justice. If the Black Lives Matter movement is to grow, it must "connect the dots" between the struggle for justice in the streets and the struggle for justice in the schools. TFA is, in my view, on the wrong side of one of those struggles, which, at the very least, calls into question its ability to play a role in the other. And apparently, some TFA alums agree. This isn't yelling or an ad hominem attack. This is a political disagreement about the future of the struggle for justice for Black people. A few Ed Notes pieces on Tisch. Sep 22, 2013 - Merryl H. Tisch, announced a new program: 13 research fellows would be selected to advise the ... Unfortunately, our present leadership at the state level in NY is not that different. ..... 'Sorry, class, I'm late – again LOL. 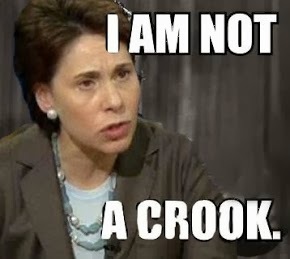 When Will Merryl Tisch Be Investigated For Corruption? John Merrow posted the Success Academy Network's disciplinary code which is distributed to all parents. Surprisingly I was unable to find it on any of the Network's numerous websites. I find the infractions petty and the penalties at Success Academy Charter Schools highly punitive, especially for younger children, but readers can judge for themselves. Success Academy rules are a manifesto for zero-tolerance policing policies brought into an elementary school. Research on the impact of zero-tolerance policies continually demonstrates that they are detrimental to both a student's emotional and academic growth, reinforce student behaviors they are supposed to eliminate leading to further suspensions, and increasingly exposed suspended to influences that virtually ensured further problems in schools and with the police. Some of the rules at Success Academy read like they could have been copied from a Department of Corrections guide for disciplining incarcerated prisoners. Others seem like a return to Maoist China "struggle sessions" during the Cultural Revolution of the 1960s when people accused of misconduct made public confessions of their misdeeds and mis-thoughts. Students can be suspended from school or expelled for behavior that occurred outside of school time and off of school grounds. Here is a link to the full Discipline code. We know there are some teachers in public schools with major discipline problems who would love these policies -- but those schools either suffer from incompetent admins, many new and inexperienced teachers or an overload of kids with problems. Charter schools do not have the latter but do have many inexperienced teachers who have not learned how to deal with kids with discipline issues. Thus the rigid code -- just dump the kid into suspension because the teachers can't handle them. There was joy in Mudville - in the real reform anti-ed deform community and throughout the opposition to Unity Caucus at the announcement from MORE that Jia Lee would oppose Michael Mulgrew for the office of UFT President in the upcoming UFT elections this winter. Kit Wainer in his introduction to Jia called her a fusion of hard-core bread and butter and social justice and her links to many parent groups around the city who support her as a leader of the opt-out movement. For the first time in a UFT election we may see parents playing a role by going into their childrens' schools and encouraging teachers to vote MORE. Jia is not only well-known in the city and the state (she ran for a NYSUT position) but also nationally through her work with other progressive caucuses and unions. Accolades came in from around the city, state and nation. Our pals at Port Jefferson Station posted the announcement: thepjsta.org/2015/10/26/more-announces-jia-lee-will-oppose-michael-mulgrew-in-2016-uft-election … with this photo of Jia. Our pals in the Chicago Teachers Union and CORE expressed their support on Facebook and twitter. In her speech at the MORE conference Jia talked about the insanity of that crazed principal who threw out all the teacher desks. Jia also talks about her current student who appeared on the PBS Success Academy story and whose records were exposed by Eva [NYC Public School Parents: Cease and Desist letter sent today to Eva Moskowitz of Success Charters]. The student and his mom attended the MORE conference. In this 17 minute video, Jia shows her humor, intelligence, commitment to the teaching profession and to her students and parents. While many of us assumed that Jia would be the MORE candidate for the past 6 months. MORE did not rush the timetable and went through a democratic nominating and ratifying process, which is how MORE would run the UFT if elected. After all, we don't want to be a Unity clone of personality cults driven from the top. Let's get rid of those bath salts that make people crazy. She's one of the black faces whose job it is to sell us just enough of the nonsense to get us all to the polls in 2016 for a pro-privatization Democrat instead of the pro-privatization Republican. This is why leading Democratic contenders bestow the traditional recognition upon the various flavors of BlackLivesMatter. Stung by growing public recognition of Teach For America's heinous role in destabilizing communites and destroying public education, CampaignZero/BlackLivesMatter activist & TFA's Brittney Packnett took to Huffington Post last week to defend herself and TFA's mission. But school privatization is so unpopular she had to resort to misdirection and mumbling about her St. Louis orgins and supposed conspiracy theories against her instead. As the pivotal role of Teach For America in the elite bipartisan drive to privatize public education comes more sharply into public view, it's natural that TFA operatives and apologists will try to defend their missions and careers. That's what Brittney Packnett's sad and disingenuous “Let's Get Back To Work” piece in Huffington Post last week was about. Packnett's problem however, and Teach For America's too is that their mission so clearly indefensible that they can't really talk about what Teach For America actually does, and why it does those things. TFA, whose St. Louis director is Ms. Packnett, cannot just come out and say they spend hundreds of millions a year in corporate and government funds replacing experienced, qualified, mostly black public school teachers with undertrained and mostly white temps to facilitate the policy goal of their corporate funders, which is the privatization of public education. These are all indisputable outcomes of Teach For America's practices in African American communities around the country, and Brittney Packnett touches none of them, because she quite simply can't. School privatization, the ultimate goal of TFA's funders, is so indefensible and wildly unpopular that even privatizing politicians dare not utter the word aloud. Instead Packnett drops a meaningless stat about how many TFA grads stay in education, without telling us that a huge share of these end up not in the classroom but as the six figure a year administrators who do the actual firing of existing teachers, the Department of Education officials who award school funding based on how many teachers are fired and how many schools are privatized, or working for the think tanks the Obama administration allowed to write Race To The Top, its signature education program. So the only defenses Packnett and those like her can mount are distractions and misdirections, and not even very good ones. Her Huffington Post piece talks about simple minded “conspiracy theories” against her. It reminds us that she lived only a short distance from Michael Brown was shot, and claims she's in it for the kids and the families and all the right reasons. Sure. Packnett says “It is easy to portray me as the evil Trojan Horse.” She's right. It IS easy to hang that on her and Deray McKesson and the rest of the TFA herd because quite simply it's true. She's one of the black faces whose job it is to sell us just enough of the nonsense to get us all to the polls in 2016 for a pro-privatization Democrat instead of the pro-privatization Republican. This is why leading Democratic contenders bestow the traditional recognition upon the various flavors of BlackLivesMatter. To be sure, Teach For America is only a part of the privatization juggernaut. Some other parts of the machine include the standardized testing industry, the private firms that certify school districts, and the diploma mills which certify “run-the-school-like-a-business” principals and administrators. Former Chicago Public Schools chief Barbara Byrd Bennett is pleading guilty to a kickback scheme involving one such “academy” and in the current session of Congress eight members of the Congressional Black Caucus “abstained” from voting on a bill that would have directed the Department of Education to investigate crooks and conflicts of interest in the charter school industry... Packnett's colleagues and sponsors among them. Some of these black congressional reps were doubtless among the boosters of her “braintrust” gathering at the Congressional Black Caucus's annual meeting in DC this September. And lest one imagine there's a great deal of difference between the two branches of BlackLivesMatter, CBC at the same time was also courting the "official" BlackLivesMatter "co-creators" as well. The one piece of Packnett's Huffington Post piece that seems absolutely sincere was its “Let's Get Back To Work” title. Certainly Packnett and TFA would like a lot less attention paid to what they actually are, and what TFA actually does, so they can get back to work. But they ain't workin' for us. 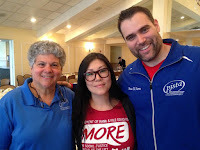 WE members attended and spoke at the MORE October 24 conference. The 2 year old caucus is challenging the current union leadership in Philadelphia and might have a real chance to knock off yet another pro-Randi AFT local. As the social justice caucus within the Philadelphia Federation of Teachers, we were surprised to see that you are coming to Philadelphia to speak alongside leaders of Teach for America (TFA). The Caucus of Working Educators (WE) is committed to racial justice in our schools and society, and we stand in solidarity with the #BlackLivesMatter movement. We see Teach for America as working in opposition to the goals of publicly funded education for all students in Philadelphia and to the goal of increasing the number of teachers of color and teachers who are committed to building relationships with communities over the long term, which we see as an integral component of culturally responsive teaching. We view the hiring of cadres of racial, cultural, and geographical outsiders with very little teaching preparation as part of a larger neoliberal effort to privatize education and replace unionized teachers (many of whom are teachers of color) with young, inexperienced teachers (most of whom are white and do not intend to stay in the teaching profession and commit to the long-term improvement of their teaching practice). This practice of displacing African American teachers, in particular, is already underway. While Philadelphia’s teaching force increased by 13 percent from 2001-2011, the percentage of Black teachers dropped by 19 percent. This has contributed to Philadelphia having the greatest disparity between the race and ethnicity of the student body and those who teach them. Only 31 percent of Philadelphia teachers are of color compared to 86 percent of the student body they are teaching. This is unacceptable. TFA has ties and parallels with the charter school movement, which we see as undercutting public education. The mass charterization of public neighborhood schools has led to the outsourcing of public school management to private operators. Just weeks ago Philadelphia Public Schools announced yet another wave of school closures and conversions of public schools into charter schools affecting upwards of 5000 students. This is in addition to the 23 public schools that were closed in Philadelphia in 2013. The decision to turn a district school into a charter is often made by the highest levels of administration without consulting with the school community, including parents, teachers, students, and leaders. Your support of Teach for America represents a support of these same kinds of outsourced and contracted paradigms for educating our children. Rather than hiring experienced professionals that will stay in the profession for a long period of time, Teach for America hires individuals with little or no experience in classroom settings via external channels such as private universities and corporately sponsored recruitment. Teach for America and charter schools both represent a failure of public leadership to lead and create change in our public schools, and prioritize outsourcing teaching and school governance over public responsibility to realize every student’s right to a fully funded, culturally relevant, education in their neighborhood. We live and work in state that has the largest funding disparity between wealthy and poor districts and in a city whose externally appointed school governance commission is proposing to continue to close down schools that primarily serve low-income African American families. In Philadelphia where 79 percent of the city’s students are Black and Latino, $9,299 is spent per pupil compared to the $17, 261 spent just across the city line in Lower Merion where 91 percent of the students are white. This is the civil rights crisis of our generation. In this context, we believe that it is essential that those who are committed to racial justice take a critical stance against organizations that aim to further privatize education and/or replace fully prepared unionized teachers with underprepared novices who are likely to leave the teaching profession in two to three years. The Black Lives Matter movement has served as an inspiration and instruction on how to confront racism and inequality throughout our country. Part of that inspiration is the way that the movement has looked at the connections between police violence and racism and other inequalities faced by African Americans. We consider the attacks on public education to be a part of the “state-sanctioned violence” that the movement has done so much to highlight over the last year. We do not believe that the white billionaires that bankroll Teach for America and the corporate education “reform” movement are any more interested in the education of poor and working class Black and Latino children than we believe they are interested in ending police violence in Black and Brown communities. If they were, these crises would no longer exist. We are glad that you are visiting Philadelphia, and we hope that you will use your platform to engage in a critical dialogue about whether TFA supports – or as we believe undercuts – the goals of a fully funded education for every student in Philadelphia with teachers who know their community and are committed to staying for the long haul. So proud to announce Jia Lee as the MORE/New Action presidential candidate. I am processing her 17 minute speech at the MORE conference yesterday and will post it later. Educators have lost patience with Michael Mulgrew and the Unity caucus’ leadership of the United Federation of Teachers and are joining the community to continue building a movement for change– in their union and in our schools. Mulgrew has been president of the UFT since 2009 but has been unable and unwilling to effectively challenge the corporate onslaught against public education. He has agreed to high stakes-test based teacher evaluations and a contract that delayed earned pay raises for teachers. Lee: “It’s time to reclaim and re-energize our union in true defense of our public schools.” From the opening plenary panel with parent and Change the Stakes member Charmaine Dixon. Paraphrasing the so-called Einstein definition of insanity: Doing the same thing over and over and expecting different outcomes. Today's MORE conference, in part a kickoff of the 2016 UFT Election campaign (MORE may announce a presidential candidate), is part of the process of not doing the same thing over and over. MORE may still get the same results, but at least it is trying to do things different - like sending a mailing to every chapter leader in the city announcing the conference. Even if people don't come, it is an announcement to every chapter leader that a group like MORE exists and is actively working for change. Kudos to the MORE conference committee - I don't know all the names but do know that Peter Lamphere and Megan Moskop took the lead on this Always reliable, now-retired, Gloria Brandman has also been deeply involved. I'm doing some afternoon shifts at the registration desk - so if you come on down look for me. If you look at the program published on the MORE blog (This Saturday- State of Our Union, State of Our Schools Conference!) you see a nice mix of what has been termed "teacher-centric" and social justice issues, with many fuzzy lines between them. I know some people still bristle when they see SJ issues - my problems with MORE were not over SJ but over balance - and my sense of this conference is one of the kind of balance MORE needs. I find too many conflicts for workshops I'd like to attend. Naturally I'm attending the morning workshop on UFT democracy I am doing with Fiorillo and Arthur Goldstein - and have to miss the Patrick Walsh/Mike Schitzer workshop - boy, what a duo they are. I can't miss Leonie's class size workshop in early afternoon and then may be on duty so might have to miss the late afternoon workshop - I am taping the opening and closing sessions. I don't expect an enormous turnout but do expect many people associated with the old and new opposition to be there - the long day can reinforce and forge important personal and political bonds between people. Old pals from ICE and new pals from MORE will be there and with this event going from 10AM to 7PM it is a long day but should be fun - unless my jetlag-catches up to me and I fall asleep somewhere. We have been through so many UFT election cycles where the opposition fell into the Einsteinian rabbit hole, often with the same outcomes in terms of votes and organizing capacity. I seen very little variation in terms of campaigns and election organizing - even pretty much the same timetable as dictated by the Unity Caucus. I don't absolve myself from responsibility. Since the 2004 election I have always gotten sucked into the morass. That was one of the reasons I advocated for something different - don't run - leave Unity standing pretty much alone out there and use the election to organize. So off to Plan B - what can MORE do to change the same old election dynamic, given its still limited resources - not just money, but personnel? Let's not underestimate the importance of live working bodies (as opposed to groups like ICE which were top-heavy with retirees or near retirees) in the schools who are committed to building an opposition caucus. The numbers of hard-core people are how I measure the prospects of any opposition. They are not easy to find - people who will devote evenings and weekends to doing the work of a group like MORE. A couple of things have happened over the past 3-5 years that offer some glimmer of hope. GEM - Grassroots Education Movement - founded in January 2009 as a committee of ICE - focused not on being a caucus but on fighting for publice education and for the first time since my experiences in the early 70s as a fairly new teacher, began to attract a similar group of younger people in the early stages of their careers. As GEM morphed into Change the Stakes and MORE starting around 2011-12, both wings began to attact more people - parents of young children and teachers (and parents of young children) with logn careers. Not enough, mind you - but really quality, hard-working people - and great teachers. Let me not underestimate this factor -- many of them are considered top of the line in their schools and that gives them some cover from abuse. Teachers under abusive principals and young enough not to have their salaries be a factor, have often managed to transfer to safer institutions - but of course that can change on the whim of the DOE - so they better beware, especially as they reach higher salaries. And I believe that this influx of 30-something teachers had an impact on the New Action decision to leave the Unity fold and work with MORE - they too see the future of an opposition depends on them. MORE is also trying out different methods of organizing an election campaign, including adopting some ideas I have pushed for. But that will take dozens of active people, not a few at the top running a campaign. MORE about some of these ideas and how Ed Notes readers can plug in - including running with MORE for AFT/NYSUT delegate, in upcoming posts.